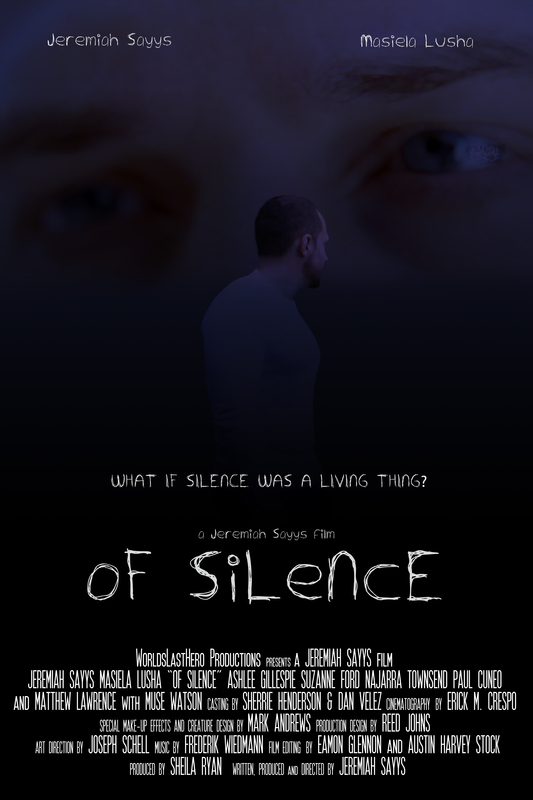 “What if Silence was a Living Thing?” An intriguing tagline from an equally intriguing film, Jeremiah Sayys’ “Of Silence” is a dark and brooding tale of a deeply disturbed man haunted by the silence that surrounds him. It is a horror-thriller and a slow burn, a film that presents a number of questions and leaves many of the answers up to its audience. 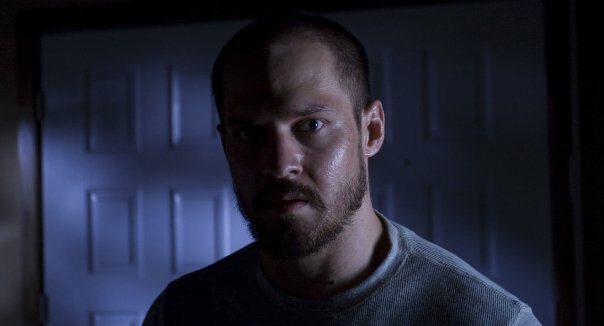 Colby (Jeremiah Sayys) has just lost his wife, and he’s not doing well. 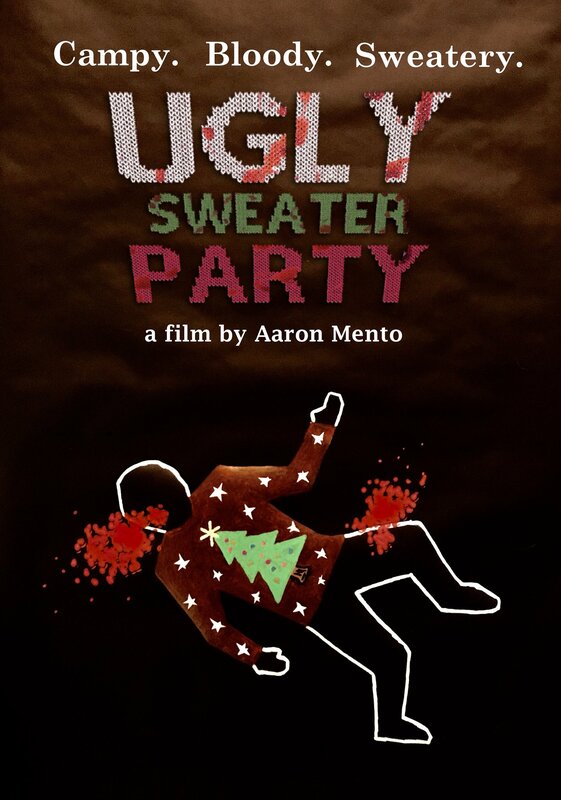 He has debt collectors hounding him, his family can’t cheer him up and to make matters even worse, he’s tormented by a presence in his seemingly empty house. Now he must delve deep into the shadows and try to find out if he’s losing his grip on reality, or if there is truly an insidious being in his house that is after him. 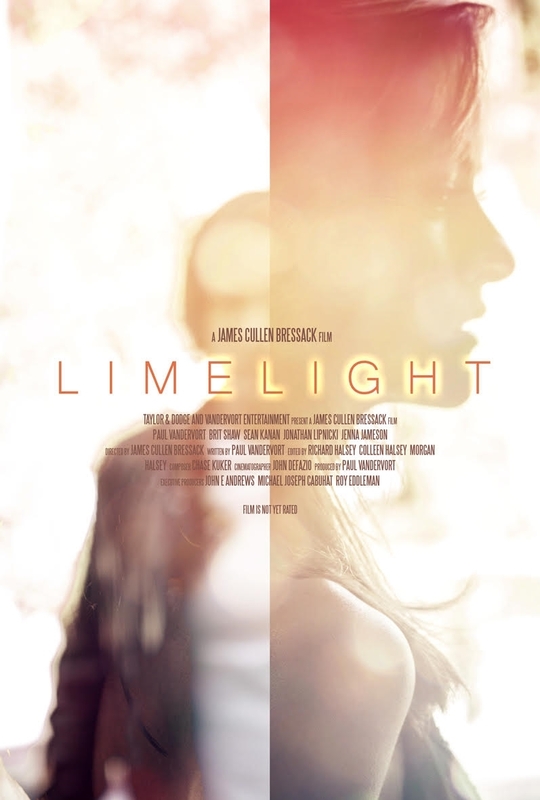 As stated before, this movie is a slow burn and doesn’t pander to its audience. Sayys (the writer, director, producer and star) obviously had a vision for this film and, to his credit, makes this a haunting experience through his one-man-show type performance and some tricky directing. While the film doesn’t necessarily have the quickest or fullest plot, it’s much more of a character study and peek into the mind of a man gone mad. Frequently, Sayys uses canted angles and slow moving shots to creep us closer to the film’s shocking conclusion. 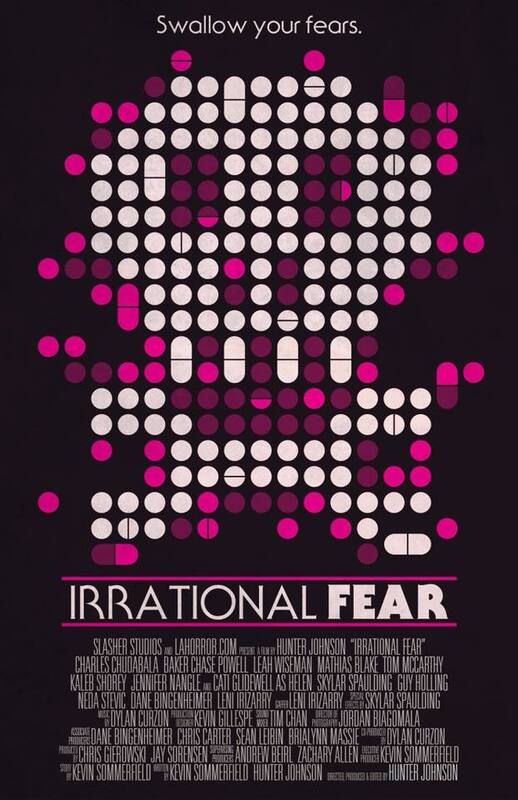 Sayys also manages this low-budget masterfully, and while the film does utilize special effects and some creative creature design, most of the scares come through the silence, or lack there of, in Colby’s life. Frequently, we are forced to listen to the howls and cries of the house, the demonic noises that haunt Colby’s daily routine that truly send a chill up your spine. You’re never quite sure who—or what—is causing them, and the clues that pop up in the film itself only lead you to realize that nothing in Colby’s world is as it seems. What I found interesting about this movie is that while it’s a horror film, the true villain remains unknown for quite some time. It teeters on the border of ghost, monster and psychological thriller and has plenty of legitimate scares (one bloody hand scene in particular made me jump pretty high). Sayys has no doubt succeeded in what he set out to do, and after watching this film, I certainly hope that he has the opportunity to do another horror film with a larger budget and a bit more gore (what can I say, I’m a gore hound). Sayys proves himself as an actor and director with this ambitious project, and don’t be surprised if this movie puts him on the map, so to speak. After all, “Of Silence” is a real scream! “Of Silence” is currently making the festival rounds around the country and internationally. You can view more work from WorldsLastHero Productions at their official website. Also be sure to check out “Of Silence” on Facebook. Review by Hunter Johnson. This entry was posted in LA Horror Review and tagged "Of Silence", haunted house, horror, Jeremiah Sayys, scary, Shadow People. Bookmark the permalink.